Economist, former Tobago East MP and author Dr Morgan Job has been diagnosed with late-stage pancreatic cancer. FORMER FIFA vice president and UNC minister Jack Warner has come to the assistance of former politician and author Dr Morgan Job, who was recently diagnosed with late-stage pancreatic cancer. Job has reportedly been given six months to a year to live. Speaking yesterday, Warner a former Chaguanas East MP under the People’s Partnership administration, said Job had amassed an impressive reputation both inside and outside of his political career, and believes the 76-year-old former Tobago East MP has made an invaluable contribution to culture and politics, which surpasses that of office holders both past and present. Warner also called on government to put in place a system to help former MPs in deteriorating health. Newsday also spoke to Job’s daughter Dzifa, who said her father was resting at the family’s St Joseph home. “He is alert,” she said. “He can move around and do some things on his own, but he’s weaker than he has ever been in his life. He’s also not as sharp, so he’s slowing down a bit. “But we’re just trying to give him the best quality of life we possibly can. We’re trying to stay positive.” She was happy with the response from benefactors, and her father’s alma mater, Queen’s Royal College (QRC), had already begun to raise funds through their Old Boys’ Association. Dzifa said relatives too are raising funds for him to undergo treatment. 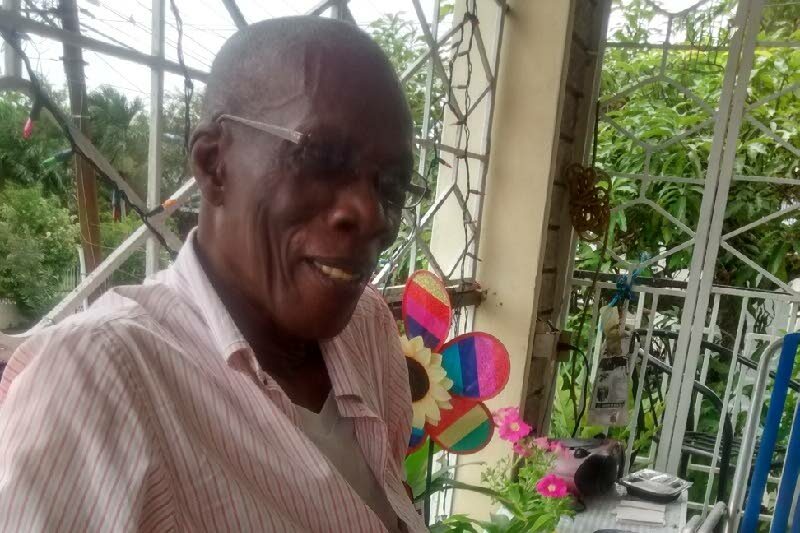 One of Job’s nephews, Keron Job, has started a crowdfunding campaign to raise US$50,000 for his uncle’s medical expenses. Job, an economist, began his political career as an MP under the National Alliance for Reconstruction (NAR) and was known as an outspoken cultural critic and author. His prominence increased through his radio programmes and television appearances. Former Tobago East MP Dr. Morgan Job has been diagnosed with pancreatic cancer and was given six months to a year to live. The former politician was recently diagnosed with late-stage pancreatic cancer, as confirmed by his daughter Dzifa Job this morning. Speaking with Newsday, the younger Job said her father was resting at the family's St Joseph home and they were in the process of raising funds for him for his care. "He is alert, he can move around and do some things on his own, but he's weaker than he has ever been in his life. He's also not as sharp so he's slowing down a bit but we're just trying to give him the best quality of life we possibly can. We're trying to stay positive." One of Job's sons, Keron Job, has started a crowdfunding campaign to raise money for his father's operation. Job, 76, rose to prominence as an MP under the now-defunct National Alliance for Reconstruction (NAR) political party and was known as an outspoken cultural critic and author. Reply to "Jack helps ailing Dr Job"